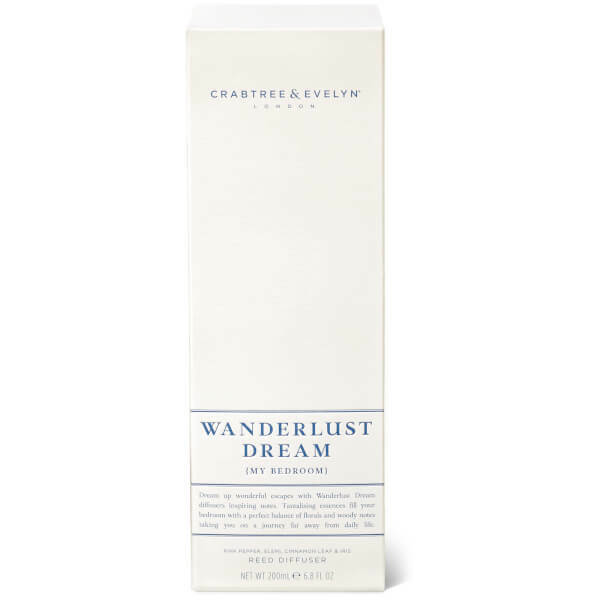 Transport your senses to pure tranquillity with Crabtree & Evelyn Wanderlust Dream Diffuser; a luxurious fragrance from the brand's Modern British Home Collection. 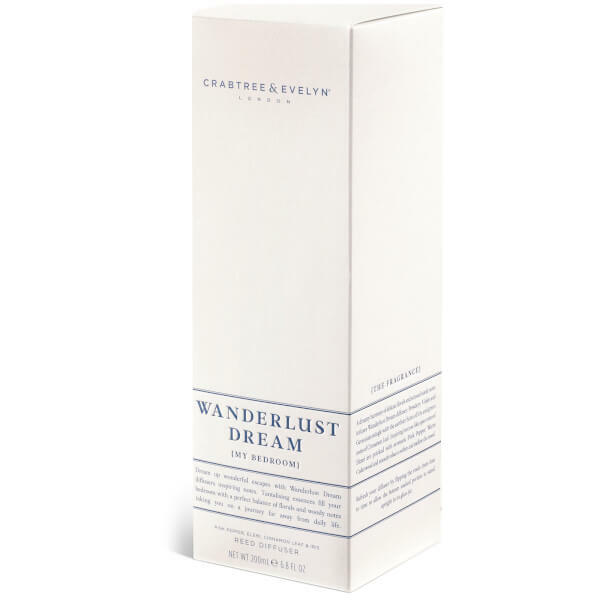 Blending floral and woody accords, the enchanting reed diffuser combines notes of Violet and Geranium with earthy Iris and Cinnamon Leaf, enhanced by aromatic Elemi, Pink Pepper and Cedarwood to create a dreamy, peaceful atmosphere that relaxes the mind. Housed in a glass jar and gift box.